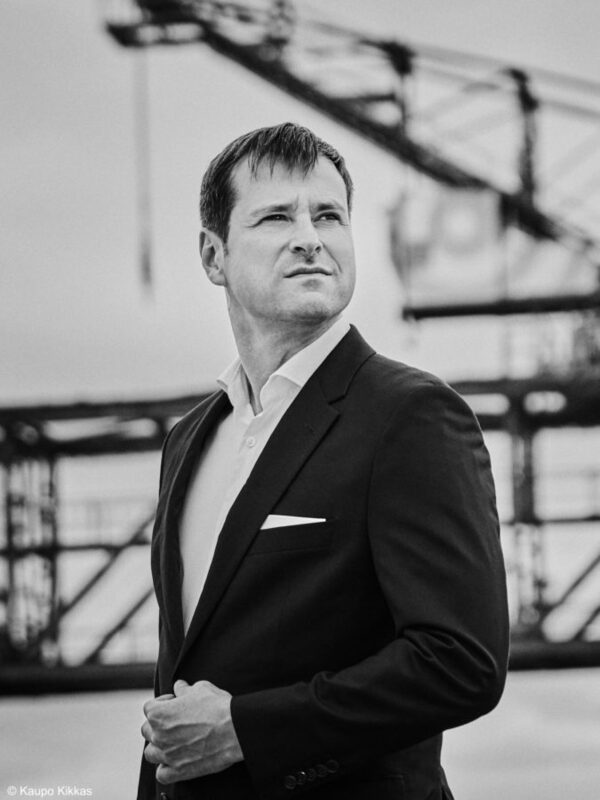 Along with his repertoire of early and classical music, Holger Falk has a great passion for works from contemporary musical theatre. 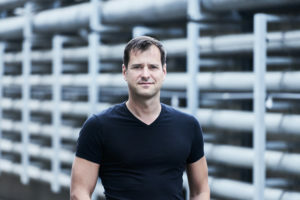 Over the last few years, he performed Wolfgang Rihm’s major roles to great acclaim: Jakob Lenz at the Teatr Wielki – Polish National Opera Warsaw and Dionysos at the Heidelberg Theatre as well as the role of Cortez in Die Eroberung von Mexico at the Teatro Real Madrid at the invitation of Gérard Mortier (stage direction: Pierre Audi). Furthermore, he has sung in many new roles that have been written specially for him. 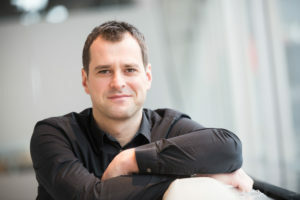 Due to his close connection to the composer Peter Eötvös, Holger Falk premiered his opera The Golden Dragon at the Frankfurt Opera and later-on at the Bregenz Festival as well as Paradise Reloaded at the Palace of Arts – Müpa Budapest. 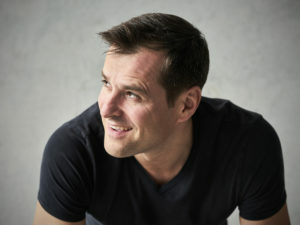 He sang the world premieres of Miroslav Srnka’s Make No Noise at the Bavarian State Opera Munich, Benoit Mernier’s Frühlings Erwachen at La Monnaie Brussels, Michael Wertmüller’s Weine nicht, singe! 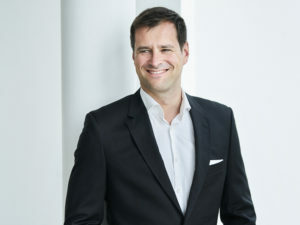 at the Hamburg State Opera as well as of works by Steffen Schleiermacher (Kokain), Jan Müller-Wieland (Die Irre), Hans Gefors (Schattenspiele), Vladimir Tarnopolski (Jenseits der Schatten), Beat Furrer (La biancha notte), Fabián Panisello (L ́officina della resurrezione) and Georges Aperghis (Le Soldat inconnu). In 2017, he has been nominated as singer of the year by Opernwelt magazine for the interpretation of Kassandra in Xenaki’s Oresteia at the Theater Basel (stage direction: Calixto Bieito). Holger Falk was honoured with the renown German Record Critics’ Award 2017 for his recording of Hanns Eisler Lieder Vol. 1, the first part of a 4-CD collection of songs by Eisler, as well as with the ECHO Klassik Award 2016 for his recording of Erik Satie: Intégrale des Mélodies et Chansons. As a specialist in Francis Poulenc’s Mélodies, he released three CDs of his complete oeuvre of all 115 Mélodies for male voice (MDG). His wide discography also includes Wolfgang Rihm’s Lieder (MDG), Schubert’s Schwanengesang, J. M. Hauer’s Lieder nach Hölderlin (MDG) and Peter Eötvös’ Paradise reloaded. In 2017/18, his latest recordings of Hanns Eisler Lieder Vol. 2 and Vol. 3 have been released to great acclaim. The 2018/19 season will see Holger Falk‘s debut at the RuhrTriennale in the role of Jean-Charles in Hans Werner Henze’s Das Floß der Medusa at the Jahrhunderthalle Bochum. Lied recitals will take him to the USA to the Frick Collection NYC, Phillips Collection Washington and to Cleveland as well as to Europe to the Heidelberger Frühling, Ludwigsburger Schlossfestspiele, Rathauskonzerte Regensburg and to the Megaron Athen. He will sing further concerts at the Wiener Konzerthaus, the Elbphilharmonie Hamburg, the Muziekgebouw aan’t IJ Amsterdam and at the Kölner Philharmonie. On the opera stage, he will perform the world premiere of Michael Wertmüller‘s DIODATI. UNENDLICH (staging: Lydia Steier, conductor: Titus Engel) at the Theater Basel. 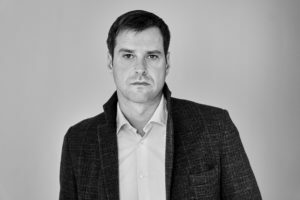 In spring 2019, Holger Falk will also take over the professorship of Lied interpretation and performances practice for contemporary music at the renowned Kunstuniversität Graz. In a four-part CD edition, Holger Falk and Steffen Schleiermacher present the lied œuvre by Hanns Eisler. The CD Hanns Eisler Lieder Vol. 1 already received the German Record Critics’ Award 2017 and has been nominated for the Editor’s Choice Award of the Gramophone Magazine. The second CD of the series has been released in autumn 2017 to great acclaim. The repertoire can also be experienced on stage at a lieder recital. The duo, which has been honoured with the ECHO-Klassik 2016 for its Erik Satie recording, shows a new perspective on Schoenberg’s pupil, who had long been reduced on his communistic work and pushed in a far left corner. Both artists are convincing in their great diversity of expression, Falk’s precise understanding of lyric, and an impressive interpretation of the extremely versatile lieder by Eisler. The first CD presents lieder from a period between 1929 and 1937, which lyrics were mainly written by Bertolt Brecht and are first and foremost workers’ and battle songs. The following three recordings dedicate themselves to a particular period of time in Hanns Eisler’s creative work progress and range from workers and battle songs, chansons and art songs to 12-tone children’s songs. Falk displayed a masterful ability to create a distinct mood, atmosphere, and personality for each, whether dreamy and awe-filled in “Der Wanderer an den Mond,” or youthful and effusive in “Bei dir allein”. The baritone’s voice is light in colour with an inherently gentle quality to it, but capable of impressive intensity in the upper range. The testing title role was performed by that protean contemporary music specialist, Holger Falk (…), an inventive, responsive and compelling actor, he gave a remarkable demonstration of technique and musicality, with much lovely soft singing along the way. In bulk, Eisler’s messages can sound like hectoring. Fortunately, the refined German baritone Holger Falk, (…) maintains musical virtues here. A diverely talented singer whose repertory ranges from Lehár’s The Marry Widow to Peter Maxwell Davies’ monodrama Eight Songs for a Mad King and Yannis Xenakis’ Oresteia, Falk expresses direct emotion in his singing. He is also a rare German able to manage musically and linguistically the melodies of Francis Poulenc. 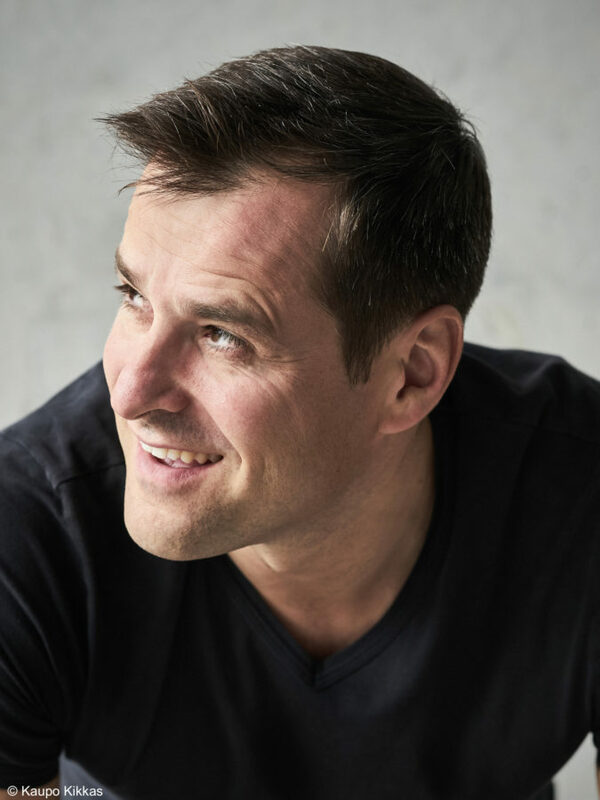 Holger Falk has a clear, cleanly focused baritone that can run the gamut from a honeyed piano to something more like an impassioned shout (…). There’s also an ideal balance between sophistication and rawness, a certain neutrality of interpretation that will bear repeated listening but doesn’t betray the gritty roots of the music. Eisler’s sardonic and often touching 1930s songs and cabaret-inspired ballads, with texts mostly by Brecht are characterfully performed by Falk, a dramatic master. 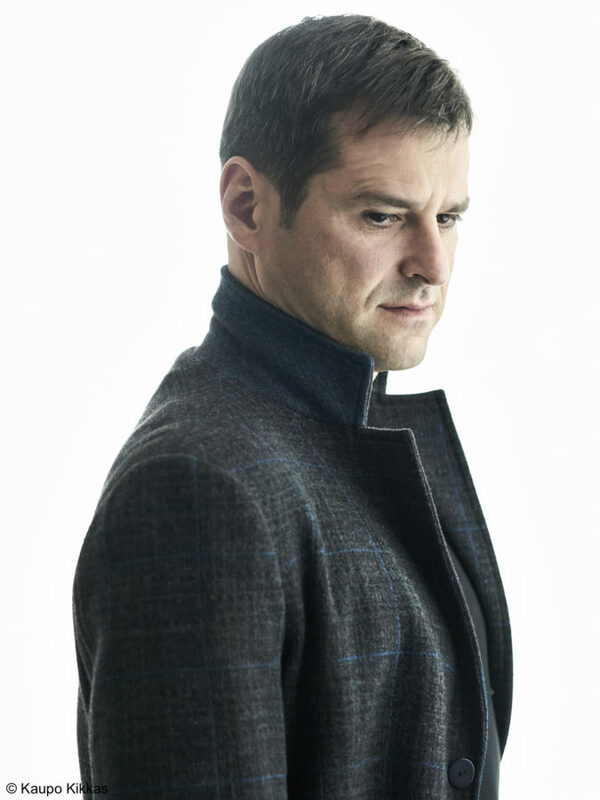 Athena was embodied by the astonishing baritone Holger Falk, who also gave a tour de force of a performance as Kassandra, negotiating with ease the falsetto writing of Xenakis in a spectacular fragment with percussion accompaniment. 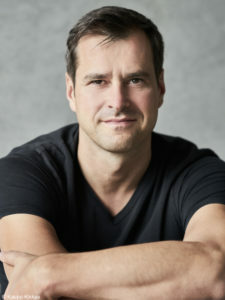 During the second scene of Oresteia, baritone Holger Falk vacillated wildly between his deep, low range and a higher falsetto, flinging his voice to the edges of human possibility in his portrayal of Kassandra who, in spurning the Greek god Apollo, has acquired the gift of fortune-telling simultaneous with the curse of never being believed. […] Despite the fact that few (if any) of the audience could understand the sung ancient Greek, the emotions of the characters, and particularly the desperation of Mr Falk’s Kassandra, came through with astonishing intensity. […] it was the soloists, Mr Falk and Tamás Schlanger, who stood out. After the opening scene Mr Falk stupefied us with his seismographic serenade; […] Mr Falk was communicating, the contortions of his voice and facial expressions spoke for themselves.